TAGSYS today announced a new breed of ‘e-connectware,’ its software suite designed to manage global RFID networks – while keeping the data integrity of item-level tagging. “E-connectware lets customers or their service provider manage RFID infrastructure just like voice and data networks,” said Elie Simon, CEO of TAGSYS, adding that the new software is ideal for international companies who don’t want to worry about juggling a bunch of different systems internationally. TAGSYS, the global leader in item-level RFID infrastructure, announced ‘e-connectware,’ a software suite designed to manage global RFID networks. The e-connectware platform is a comprehensive set of management and administrative tools that deliver the highest quality of service levels to ensure data accuracy and data integrity in item-level tagging. The software broadens TAGSYS’ product portfolio and reinforces the company’s unique position as a complete RFID systems provider from tags to readers to software and services in both HF and UHF. 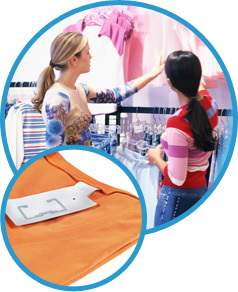 e-connectware dramatically accelerates RFID deployments by enabling centralized deployment, management and administration of RFID readers and application systems, pro-active monitoring of those systems, on-the-fly performance tuning, and even fail-over and recovery. e-connectware’s distributed network architecture enables customers to scale up to 10,000 nodes without performance penalties or the addition of back-end compute resources. Essentials – provides intelligent management and monitoring of TAGSYS reader infrastructure at a local level with a single user interface. Enterprise – provides remote management, administration, and control of TAGSYS reader infrastructure on a networked, multi-site basis with increasing levels of performance required. Global – provides remote management, administration and control of heterogeneous reader infrastructure on a networked, global level with mission critical quality of service requirements. e-connectware pricing is based on a site license with unlimited reader support. The Essentials edition is available immediately, with the Enterprise and Global editions available starting the second half of 2007. For more information please call your local TAGSYS office or authorized TAGSYS partner or visit www.TAGSYSrfid.com.